UPDATED REVIEW - May 15, 2018 - Kawai CP1 Digital Grand Piano, Kawai CP2 & CP3 Digital Pianos - Recommended - The Kawai piano company is well known around the world for producing some of the best digital pianos available on market today and the CP series of digital pianos are a specialty product which are not carried by all Kawai Piano dealers in the US so you may have some difficulty finding on or more of them in person. Kawai's international headquarters is in Japan where all of their product design and engineering come from, and for nearly 100 years Kawai has produced musical instruments that have been played throughout the world and are recommended by piano teachers, prestigious universities, and famous pianists. 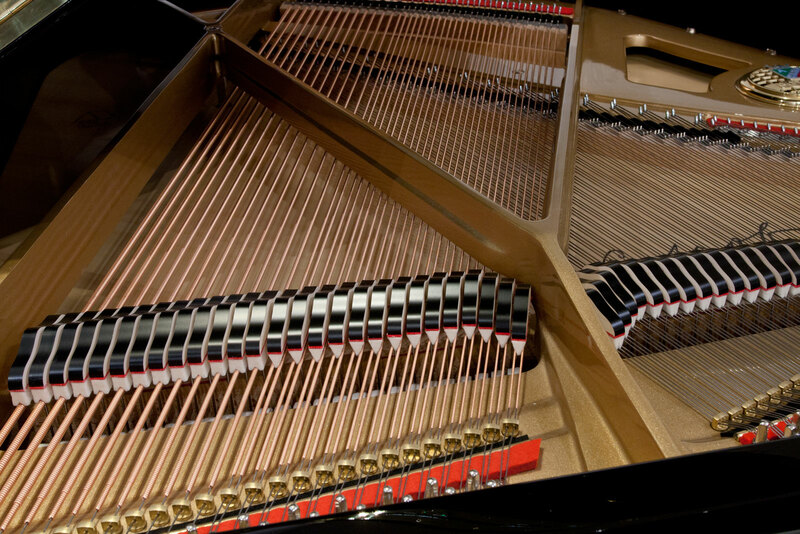 They produce 9' concert grand pianos, regular grand pianos, upright pianos, and a variety of digital pianos. Kawai is also a relatively small company compared to some of the other major Japanese brands like Yamaha, Roland, and Casio because they concentrate on building pianos rather than have all of the other products that their competitors do like motorcycles, home audio, tennis rackets, snowmobiles, calculators, watches, etc. 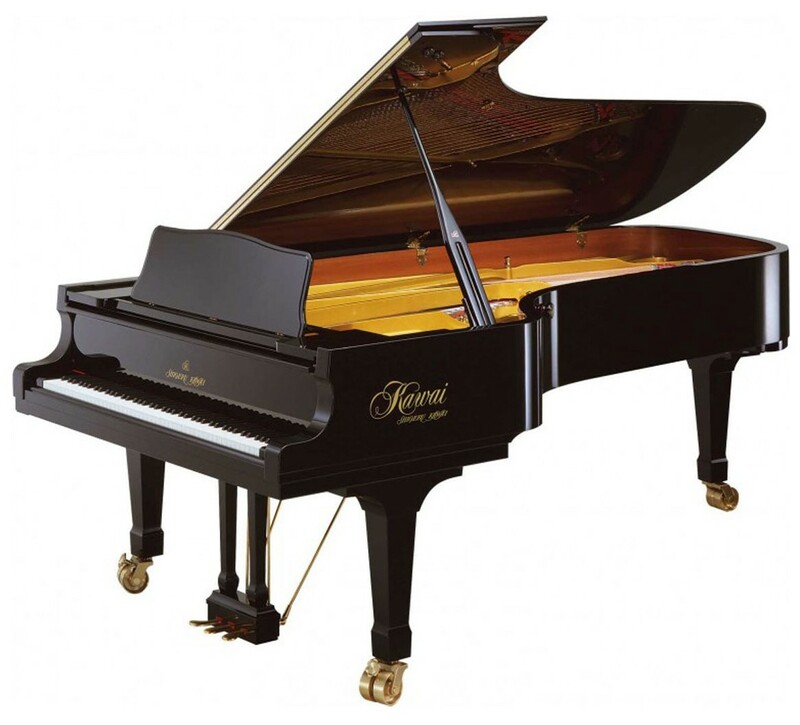 Kawai has been primarily known for their acoustic pianos and as a long time piano teacher I have personally played and performed on a variety of Kawai pianos over the years as have many of my colleagues. When it comes to Kawai digital pianos, the CP1, CP2, and CP3 Virtual Orchestra digital pianos (aka: ensemble digital pianos) are a big jump in technology over Kawai's other digital pianos, and that is why I am doing this extensive review...to help you get to know them better. The CP1 model digital grand piano ($21,999US factory retail price) is in an actual full size polished ebony 5'3 Baby Grand cabinet and the only one in its class out of any major brand of digital piano. The CP2 comes in satin rosewood ($8999 factory retail price), satin black ($9199US factory price), and satin mahogany ($9199US factory price), and is identical to the CP1 grand in features and function with the exception of cabinet and speaker system. The CP3 comes in satin rosewood ($5999US factory retail price) and satin black ($6099US retail price) and both the CP2 and CP3 are housed in vertical console cabinet models which are attractive and unlike any other Kawai models. The CP pianos (aka: Concert Performer series) are only built for and available in North America and no other countries, so if you want one you need to purchase in the US or Canada only:). It's not that the rest of the world wouldn't want these Concert Performer pianos, they're just specifically produced for the American and Canadian markets. What makes these pianos unique to all other digital pianos produced by Kawai is that they are known as Virtual Piano Orchestras/Virtual bands. Unlike traditional digital pianos, the Kawai CP1, CP2, and CP3 are full blown interactive entertainment centers and are designed for people to sound great and have musical fun with minimal effort. Although the built-in digital technology that allows this to happen is very impressive, it is obvious to me that Kawai wanted these pianos to, first and foremost, be pianos. In other words, when you play a Concert Performer model you get the best key action movement and response, best acoustic type piano sound, and best pedaling reproduction in its price range for this kind of piano as far as I am concerned. So even if you did not have all of the Virtual Orchestra/Virtual Band technology built in, the pianos by themselves would be inspiring to play just for the piano playing experience alone, and to me, that's the way it should be. After playing all of these Performer models many times, I personally believe that anyone could benefit from owning one of these pianos whether you are beginner, amateur player, advanced player, professional level player, playing in a school, University, Church, recording studio, or home studio, or whether you are a piano student or piano teacher. You could be 2 years old, 10, 20, 40, 60, 80, 90 years old and be able to make music on the CP's...or you could have only one arm or one finger and make great music on the CP pianos. If your musical goal is for you and/or others to experience the joy of playing and listening to good music, then no matter what your past piano playing may be or what kind of music you like, if you can afford the price tag of the Concert Performer pianos then they should be a definite consideration in my opinion when shopping for a piano of any kind. OK, so what is a Virtual Piano Orchestra/Virtual Band digital piano and why would someone want one? The best way I can describe these instruments is to list some of the things they can do very well. They are grand pianos, digital pianos, a kid's player piano with interactive control, concert pipe organs, concert theatre organs, symphony orchestras, player pianos playing full length pro quality original piano songs, educational teaching instruments to help learn piano for all ages, studio recorders to help create and record your music in many ways and formats, music composition tools for composing music in real time, sheet music notators with wireless printing technology, professional song arranger capable of instantly setting up the CP pianos to sound and play like some of your favorite music, an accompaniment band to play along with you in any style of music you want to make you sound better, and the list goes on. What ever you want to do with your music you can pretty much do on the Concert Performer series. It is important to say that these pianos are not for someone who primarily just wants to play piano. If you just want the best digital piano you can get in a particular price range and don't want the extra music making technology, then you would need to look somewhere else because the CP pianos would likely be overkill in my opinion and may not be something you would take advantage of. If that is the case then I can help you figure out what you want, but if you are looking for something that can stimulate your musical senses in a way you never thought possible and allow you to play music that really touches your "musical soul" (which is my preference), then a Kawai Concert Performer (CP) piano may be perfect for you. With regard to the all important acoustic piano sound authenticity, without a great piano sound, the "coolness and useability factor" of the other instrument sounds and features on digital pianos take a back seat to having a great acoustic piano sound reproduction. Reproducing a realistic acoustic piano sound in a digital piano is no small thing. It takes expensive piano sampling technology, a proper recording sound room, qualified recording and piano technicians to make sure the actual piano sampling is done right and is going to recreate the organic tonal qualities and nuances of a great acoustic piano. Even with this all being said, authentic piano sound in a digital piano can be a bit nebulous because it depends on the listener and what you are used to or what you "think" a good acoustic piano really sounds like:). Kawai uses their very expensive top of the line 9' concert grand piano as the instrument where all of the CP's pianos get their piano sound. Unlike some other brands, Kawai records the notes played by each of the 88 keys individually rather than use "stretch recording" which samples a single key and then artificially stretches that note up to the next key and so on. With 88 key individual piano sampling, the piano sound will be even closer to that of a real grand piano. I noticed that the piano sound of the CP's was very enjoyable to play and tonally was quite consistent from one note to the next. The CP1 and CP2 have the best Kawai piano sound chip and the CP3 has the second best piano sound chip. Both are 88-key sampled tones from a concert grand but are different in terms computer memory which allows either more or less piano sound authenticity and organic nuances. It just depends on your budget and what your musical goal is as well as your comfort level and how picky you are concerning piano sound realism:). Speaking of being picky, all CP pianos have a way for picky people to personalize and customize the piano sound for their own musical tastes. This feature is called "Virtual Technician" and it allows the user to easily adjust various parameters of the piano sound on the color touch screen just like a real piano technician would do on an actual acoustic grand piano. Some of the functions of the "Virtual Technician" include having and adjusting Damper Resonance, Damper Noise, String Resonance, Key-Off Effect (incl. Key-Off Release), Fall-Back Noise, Hammer Delay, Topboard lid, Decay Time, and Soft Pedal Depth. I have personally played around with these adjustable aspects of piano sound and some of them can come in pretty handy depending on the type of music you play. This is why (user friendly) adjustments to piano sound can be important because even though the CP's offer a variety of acoustic piano sounds, adjusting them yourself gives you more control over how they sound and that can be so helpful when a person is after something that may not be preset in the piano sounds. Not all people will use this feature but some people definitely will and they will be appreciative that it is there. Finally with regard to piano sound in the CP pianos, Kawai has a very intuitive feature called System EQ. This is a fantastic feature because it allows a person to further customize the piano sound and overall instrument sound by individually changing the type and amount of EQ (Equalizer) frequencies on the color touch screen in a very intuitive way. If you want more bass, more mid-range, more treble, or less of everything or adjusting other sound frequencies on the touchscreen, you can do it quickly and it can make a world of difference in what you hear coming out of the internal speaker system in the CP piano. Once you get that "perfect mix" of sound, then you can save it so it comes up that way every time you turn on the piano. It's very useful and I think most people would take advantage of what it can do because it's easy to work with. If it wasn't for the ease of use on the color touch screen, then I think few people would take advantage of it. But in the case of CP pianos, you will be glad it's there and how easy it will be for you to make these custom sound adjustments to make your music sound even better:). When it comes to the three piano pedals on most acoustic and digital pianos, they definitely cannot be overlooked when considering a piano purchase. 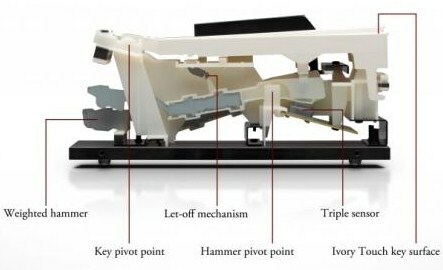 The three pedals include the right damper (sustain), middle sostenuto pedal, and left soft pedal. Based on my many years of teaching piano and playing professionally, the right damper pedal is by far the most important followed by the left soft pedal, and then followed far behind by the center sostenuto pedal. 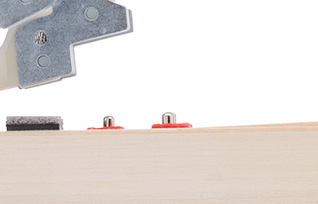 The damper pedal's job is to left the dampers off the strings in a real acoustic piano so the strings can sustain and continue to be hear over a shorter or longer period of time. Without an effective damper pedal, piano music would not sound beautiful and in fact could not be played properly. You could have the best piano sound and the best piano key action in the world, but without the right damper pedal working properly or not having one at all, you might as well give up playing piano in any serious way...the damper (sustain) pedal is that important in the effect it has on the piano sound in real time. With regard to the authenticity of how the right pedal works, it should be a full size, full length pedal or as close to that as possible and also should have a particular weighted feel to it as your foot presses down. There also needs to be some resistance to the pedal when pressing down so it doesn't just flop down to the bottom when barely pressing it. The pedals should be sturdy, quiet, durable, tight fitting within the cabinet and built with good materials so the pedals don't squeak and wiggle side to side like piano pedals I have played on other digital piano brands. The Kawai CP series definitely has high quality pedals which they call Grand Feel pedals and they do feel real based on my experience using them. When the damper pedal is depressed the sound of the piano is effected by sustained overtones, sympathetic string vibrations, pedal resonance, pedal sustain decay, and other organic elemental recreations. In other words, there's a lot of sound movement going on when the right pedal is used on an acoustic piano and Kawai does an excellent job in being able to duplicate much of this authenticity with their pedaling and sound technology. This is no easy thing to do and the result of the piano sound quality in these models is very impressive when using the pedals. It's quite real sounding along with having half-damper sustain control (which is also electronically adjustable) for different amounts of sustain depending on how far down you press the right damper pedal. If all this wasn't enough, the center and left pedals can also be programmed to do other things. Since most people will not be using the center and left pedals in a traditional way when playing on the CP pianos, they can use these pedals in a more practical way by triggering digital features which you would have to otherwise get by pressing buttons on the control panel or display screen. This allows for a smooth transition and use in functionality because using your foot allows your fingers to stay on they keys instead of taking them off to press buttons while you're playing a song. Some examples of this are bring able to control the built-in drums and accompaniments and turn them on or off, change variations, trigger intros/endings, breaks, etc, as well as create as setup a steel/Hawaiian guitar pedal glide control, and many other things. All of this simply helps you make more beautiful inspiring music and although you may not use this all the time, once you get use to using the pedals in these ways, you'll be glad you have it and will want to use it often regardless of your playing skill level. It just helps make you sound better than you really are...and isn't that what counts:)! Polyphony is a word that is thrown around quite a bit when it comes to digital piano specifications that people think is important. Polyphony is a name given to describe how many notes (keys) can be played at the same time along with pressing the damper pedal to sustain those notes without the sound of the notes dropping out unexpectedly when playing a song. This is never an issue with a regular acoustic piano because it only has one piano sound and 88 keys so you would never need more than the 88 keys to play the piano notes. 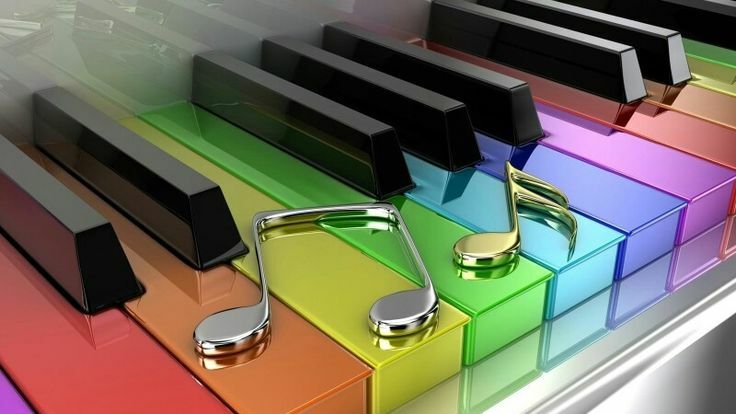 However there is more to the piano sound than meets the eye. 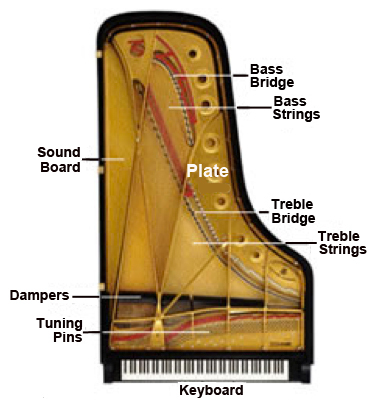 There are all the small organic elements within the piano that make the piano sound the way that it does while vibrating on over 230 individual strings. So even though there are 88 keys on a piano, each key (except for some low bass notes) is activating a hammer which is striking more than one string at a time. Over 230 strings is a lot of strings and if you were to play all 88 keys at one time while holding down the damper pedal, to reproduce that experience on a digital piano would be very difficult unless you has sufficient polyphony processing power and a great piano sound chip. In the CP series, Kawai has the industry maximum of 256 notes polyphony, however, Polyphony is given in mono numbers and not stereo. The Kawai piano sound is recorded in beautiful stereo as is done on other digital piano brands too. When you have 256 notes of polyphony in the piano, in stereo you actually have half of that which equals 128 notes of polyphony because each stereo note (key) take up 2 notes of mono polyphony. Then when you add (layer) another instrument sound with the piano sound and that extra instrument sound takes up some of that polyphony away from the piano sound. In other words as you add more sounds together including rhythms, accompaniments, etc, you need as much polyphony processing power as possible to handle it all. With 256 note polyphony on the Kawai CP pianos, you won't run out of polyphony even when playing more complex music or using more complex arrangements. I have tried it and the piano sound and features hold up well with no sudden loss of notes when playing a song. 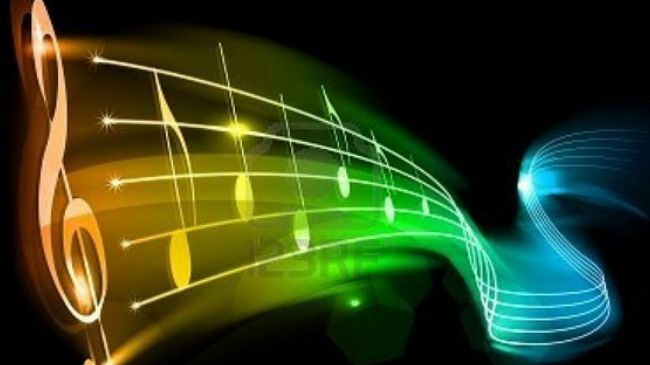 When you can play complex, more advanced piano music or have professional arrangements which use multiple instruments and not run out of notes, your music will sound better and you will be able to do things musically that you have not been able to do before which will bring your musical enjoyment to a new level. 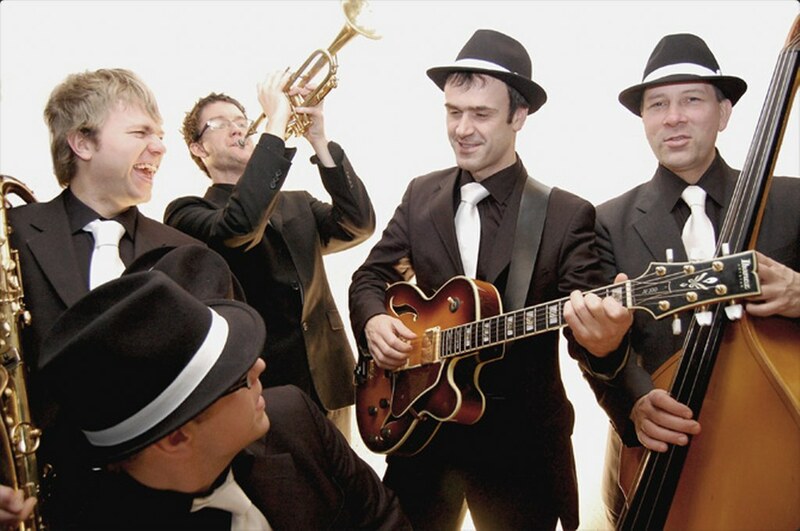 There are so many types of music styles out there which I greatly enjoy listening to and I love to get the chance to hear great music performers in person playing live instruments. To me, music is like a beautiful rainbow of color which mixes different elements of sound to come up with meaningful, inspiring music. What is musically inspiring to me may be different for you. Whether it's watching a great symphony orchestra, a hot uptempo jazz group, a Latin band playing Salsa, Bossa Nova, Rhumba, or Latin Rock, gospel music with authentic Hammond B3 organ sounds, listening to awesome movie themes (from my favorite movies), a toe tapping country band, 40's, 50's, 60's, 70's, 80's, and 90's music, contemporary rock, contemporary Worship music, theatre organ players, polkas, ragtime, and various kinds of culturally based music from around the world...whatever it is, when I'm in the mood for it then I love to listen to it, especially if it is live. With that in mind, I enjoy being able to play those styles of music for myself, but on most digital pianos from Kawai and the other major brands, you cannot do that. There is no band, no orchestra, no individual musicians playing all those instruments and certainly no way to reproduce those types of musical arrangements and interact with them for the music I mentioned, especially if you want to play it live and control all those musicians and instruments and not have it pre-recorded on audio or MIDI files. The CP series pianos solves that dilemma by allowing you access to all these styles of music with a wide variety of interactive bands, orchestras, organists, and other musicians. This is commonly referred to as a Virtual Band feature which are professionally created ensemble accompaniment styles that allow a person at any playing skill level to play the kinds of music I was talking about with full drum percussion patterns, bass lines, guitar strumming, piano arpeggios and chord playing, organ backup, horns, etc. Basically you select the music style group you want from the color touch screen and then press a color touch button selecting from hundreds and hundreds of your favorite music styles including hundreds of intros and endings to make your playing sound even more realistic. Beyond that, when you listen to live music, those players are playing in musical patterns and those patterns change over the course of the song so they are not always the same. There are some ensemble type digital pianos where the instrument sounds and playing patterns sound "canned" and unrealistic, and you know that what you are hearing is not real. Even though there are hundreds of accompaniment variations on these CP models, most of them do sound live and very real with musically correct changing patterns for each of the interactive players along with the ability of the user (you) to customize each of the hundreds of arrangements by changing the types of musical patterns and progressions that are in the arrangements and saving them so that they sound the way when you want them to. Kawai calls this feature the Conductor Easy Style Edit system and you access it in a very intuitive way through the large color touch screen...easy to do and get an instant result with being in charge of the entire orchestra or band. I do like this unique feature and it just helps keep the music fresh:). You really cannot make a "mistake" using the Easy Style Edit and if you don't like what you did, you simply reset the accompaniment style back to the factory setup. 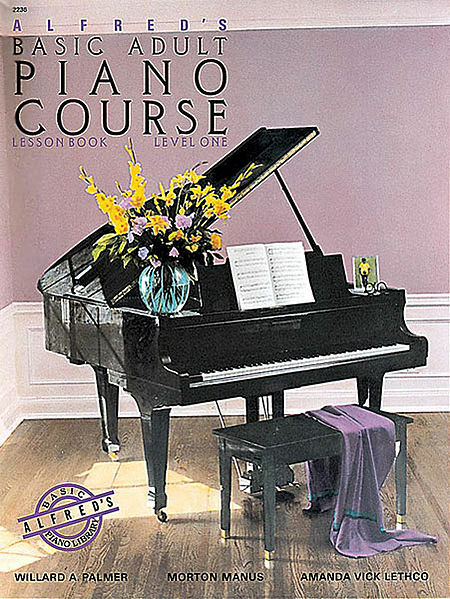 To make things even more realistic, the CP pianos have a function called 1-2 Play which has predetermined professionally arranged right hand instrument sounds as well as song tempos and other facets of the song that correspond in a musically realistic way when playing any of the hundreds of left hand ensemble accompaniment styles. This means that you don't need to figure out what melody instrument sounds would go best with the left hand accompaniments...the Kawai CP 1-2 Play will automatically do that for you by you touching the accompaniment music style & variation that you want on the large color touch screen. As the piano changes style accompaniments with their variations, your right hand sounds will instantly change along with those styles giving you an ever changing and perfect rendition of how everything should sound for both left and right hand. No more guessing or sounding like an amateur player (which is not a bad thing:) when trying to set up the best sounds and accompaniments. The CP will do that for you and make you sound great in the process. In fact there are many configurations and combinations that could take years to work out on your own, so having it done for you with a touch screen button is an awesome way to make the kind of music you have only dreamed of and never thought you could. These are not some cheesy renditions of fake music but they are actually stylized like real musicians would play them and I found them to be very convincing in using them with many styles of my favorite music. So there really are few barriers on the CP pianos in my opinion that would prevent you from making absolutely exciting music regardless of your age or musical abilities. Yes you do need to play some sort of song when using these features but if you happen to be a novice beginner, you can slow down the accompaniment to any speed you like and just take it a little bit at a time. Even in this way you will enjoy yourself...and if you play really well then you'll still be amazed at how good it all goes together. In keeping with the educational and entertainment value of the CP pianos, Kawai has included a special piano learning system with a complete library of well known favorite songs throughout the decades and centuries especially arranged and orchestrated to provide hours of listening, singing, and playing fun with a self instruction program for absolute beginners of any age to play music on the keys perfectly the first time you touch the keyboard. This exclusive system is called Kawai Concert Magic (CM) and it is appropriately named. You play perfectly like magic and it sounds like a concert:). The way it works is that you select a song from the large song library which includes folk songs, popular standards, country-western tunes, internal songs, classical music kids music, patriotic songs and so on. Once you have selected the song on the color touch screen then you decide how you want to see it. There are a few different options including seeing the actual sheet music score on the display screen, seeing the lyrics to the long which has a red bouncing ball letting you know where you are at all times, or you can select the Note Navigator mode which allows you to play by rhythmic dots and plus signs indicating when to strike a key so that you do not need to read music. You can set speed and go at your own pace and when you press any key black or white, that key plays the correct note regardless whether it is the correct note or not! 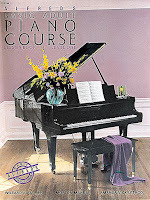 As a long time piano teacher who has taught thousands of individuals how to play piano, I was impressed with how intuitive and useable this system is and what it can do for a beginner to instill playing confidence while helping to teach the important fundamentals of rhythm & timing along with proper playing dynamics and note reading. The songs are preset with fully arranged orchestrations and instruments so they sound great just like pro musicians would play them and you control those musicians by playing the any keys in any order and getting that song to play. This may sound like a toy but it definitely is not. It will subliminally teach musical concepts and in the process you will sound amazing. In addition to the learning and playing aspect, the song library in these Concert Performer pianos contain 176 songs which can be heard like a player piano where the songs will play one after another by themselves and you can sing along to them with the lyrics to each song displayed in the large color screen or you can connect the piano to an external large video monitor to see the lyrics in a bigger way so they can be displayed like Karaoke music for the entire family or group of people in the room. You can also select from the Vocal Harmony feature and turn your voice into multiple voices at one time singing different parts (choosing from a variety of vocal harmony styles), just like a small vocal group might do. The CP pianos can even display the sheet music notes to each song along with lyrics in the music in case you want to read and sing along with the actual notes as well. You can change the key and speed of the player music to suit your vocal range better and the tempo you want to sing at. This Concert Magic system is super great for kids, seniors, families, Mom's and Dad's, beginners or even professional players like me because it's FUN and makes you sound great and the player piano sing-along aspect of it just adds to the pleasure you will get when using these different Concert Magic features! There is so much more this CM feature can do that you'll just have to try it out and be careful that you don't loose track of time when using it because it provides hours of fun and learning for the entire family. As a teacher and performer I highly recommend it and no other digital brand has anything like it. Check out my videos at the bottom of this page to see the Concert Magic feature in action...live! When it comes to recording what you play on the piano, the CP pianos have extensive audio and MIDI recording capabilities which can be accessed from the color touch screen. It is not only fun to record yourself to hear what you sound like and how you're doing, but you can create music, write songs, and put together full musical soundtracks. There is a simple easy record mode which you can quickly access off front panel buttons where you can play a song and record it and then play it back immediately.This is perfect for people who just want a simple no hassle way of recording themselves without needing to be rocket scientists to figure out how to do it. Then for the people who want more of a comprehensive recording system, the Kawai CP's allow you to record and play back up to 16 different instruments and tracks at one time. With this more advanced recording system there are a number of editing controls and functions which you access from the color touch screen and allow to to control things like the relative volume between each instrument, the effects, actual instrumentation, and a host of recording details to help you make the perfect recording whether it's your own original composition or a cover of a famous song. You can then save those recordings as a MIDI song file or an audio wav or MP3 file and then save that into a USB flashdrive to load it on your computer or elsewhere. In addition to recording yourself, you can also see that song in the form of sheet music on the color display screen and print that song out on your computer home wireless printer. You will see the actual notation and be able to have that as a tangible piece of music although this is only for convenience and not to replace properly formatted and sized sheet music. There are better and more practical ways of converting your recorded songs into sheet music using specific notation software you purchase for your computer which would give you more control over the sheet music and the printing capabilities, as well as extensive song editing. But for a simple and quick approach to getting some sheet music to come up, the Kawai CP pianos do a good job with that. As far as the actual recordings themselves, I believe you will be pleasantly surprised how professional they will sound using the Kawai Song Recorder system based on all my experience with that. Even some of the more "advanced recoding features are fairly easy to navigate and surprisingly intuitive using the large color touch screen and the value wheel/dial. 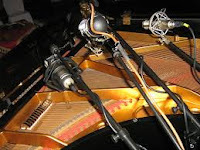 There are many detailed editing and recording features within the CP pianos so whether you want simplicity or more advanced studio quality multitrack recordings, I believe the Concert Performer pianos will be able to keep up with most demands for quality music when it comes to recording, playback, and seeing music notation. As far as some of the other features that are good to know about, The CP1 and CP2 have the capability of combining four instrument sounds together whereas the CP3 can layer two sounds. Layering two independent right hand instrument sounds together is what you'll find most digital pianos can do. But layering three independent high quality right instrument sounds together that compliment each other is not generally available on digital pianos. This ability to hear three instruments at one time plus a fourth one with a separate left hand sound and having full control over each instrument volume, effects, and other aspects of the sound is what helps to make the CP1 and CP2 sound so good, especially when it comes to using the registration combination presets. You can enjoy playing the piano sound & other instruments on both models and some of the other great instrument tones as well as the dual combinations on the CP3. But the CP2 is a definite step up as long as you have the budget for it. 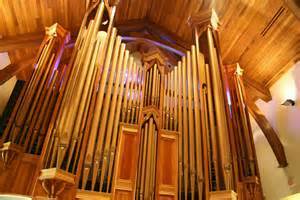 Other important but secondary features of the CP models that I personally use include reverbs: Room, Lounge, Small Hall, Concert Hall, Live Hall, and Cathedral. Key Touch sensitivity curves: Light+, Light, Normal, Heavy, Heavy+, Off (Constant), User 1, User 2. Temperaments: Equal (Piano), Meantone, Pure Major, Pure Minor, Pythagorean, Werckmeister, Kirnberger, Arabic 1-2, User, Key of Temperament. Tuning: Stretch Tuning, User Tuning, User Key Volume, Half-Pedal Adjust, Minimum Touch. (Selectable Split Point), Mixer, Master Volume, Accompaniment Volume, Transpose, Octave Shift, Tune, Portamento (CP1 and CP2 Only), MIDI (16 Part Multi-Timbral Capability). Chord playing setup: Fingered, One Finger, Full Keyboard, Bass Inversion, Right Hand Harmony (10 Types), Special Effects: Chorus, Phaser, Flanger, Brilliance, Tremolo, Delays, Panning all with micro edit control, Vocal Mic Effects: Vocorder, Bear, Robot, Duck, and more,...and other cool stuff I won't talk about here. In these higher price ranges all digital pianos should have good connectivity when it comes to hooking up external devices to the pianos, and the CP's definitely do have the connection jacks you need to connect just about anything you'll want. The CP1 and CP2 both have the full compliment of connector jacks whereas the CP3 has less ability. Whether it's connecting a USB computer to the piano, an iPad, external speakers, a video monitor for connection to a much larger color monitor screen for Karaoke and Digital Sheet Music sing along, a pro XLR cable connection for use at events, churches, outdoor activities, etc, standard MIDI connections, or even plugging in your MP3 player to the piano through a front panel 3.5mm mini jack (not available on the CP3), you'll find these pianos can do it well. 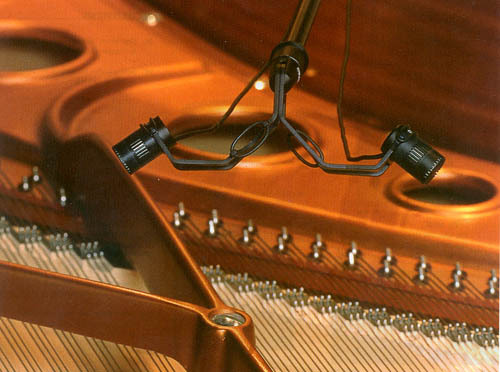 There's even 2 headphone jacks for each piano so 2 people can practice in privacy at one time. Also next to the headphone jacks is a microphone standard 1/4" input jack with separate volume control to control the vocal volume when you are singing or speaking in the mic through the piano speaker system. 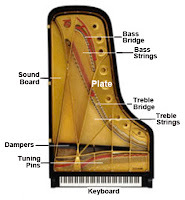 It's easy to see that Kawai uses high quality components and connectors as opposed to other digital pianos I have seen who use cheap parts which cause problems over time. The CP3 does not have all the capabilities in these ways whereas the CP2 and CP1 do, so that is another reason why the CP2 console cabinet model is so compelling to buy over the CP3 console cabinet model. The piano cabinets on these three models are very attractive, especially the CP1 full size polished ebony 5'3" baby grand..that one is absolutely beautiful in person. As I mentioned in the beginning of this review, this is the only digital baby grand of its size on the market today and Kawai uses an authentic acoustic baby grand case (including sprucewood soundboard) they make for their acoustic grand piano line and they install all of the CP1 electronics, speakers, key action, etc in this cabinet....so it is the real thing. The nine individual speakers (including a large 10" bass woofer) going through a 3-channel 200 watt sound system are spread through the cabinet in the wood soundboard which helps disperse the sound in different areas of the piano and allows the sound to passively vibrate through the wood grains in the soundboard, so you get both a powerful stereo sound through the speakers combined with the natural wood soundboard, and the result is very impressive. 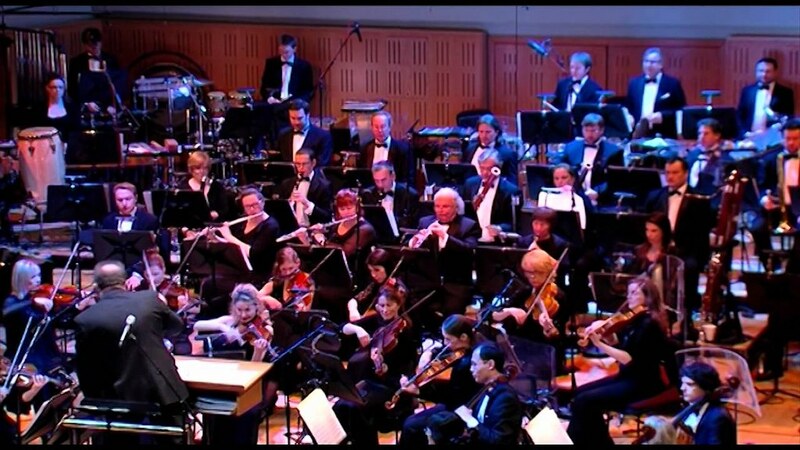 The larger size of the CP1 cabinet helps the sound system to work well, making the piano sound beautiful. The piano lid has two opening positions along with the lid also being able to lay down flat, just like a real grand. The brass hardware including hinges, knobs, wheels/casters, etc are all high quality materials (I tested them) and add elegance to the CP1. The specifications of the CP1 are 57” x 63” x 39” and 430 lbs in weight. Even though the factory retail price of the CP1 is $21,999 which is no drop in the bucket and comparable in price to fine acoustic grand pianos that are even larger in size, with the CP1 you are buying a complete interactive music entertainment center as opposed to just a piano. I love playing great acoustic grand pianos, but once you play and hear the CP1 just for the piano experience alone coupled with all of the impressive technology features it offers, you'll get the best of both worlds. However, you really need to be fairly certain that what the CP1 offers will be of benefit to you and your family as opposed to purchasing a high quality new acoustic grand piano. With regard to the CP2, the cabinet has a 4-speaker (mains and tweeters) 100-watt high quality speaker system which also has plenty of power and fullness for its size and will easily fill up a large room with a big, bold sound. I have tried it and and put the volume at different levels (and also tweaking the digital EQ) and the result was very good in that it can handle small rooms or very big rooms and Kawai did a good job at optimizing the sound for the size of the cabinet. However, the CP2 (and CP3) sounds even better when connecting a couple of good powered monitor bi-amped speakers to the piano which you can do for about $300US. That extra boost of clarity and power allows the piano to reach its full sound potential, but this would be true of other digital piano brands & models. The CP2 cabinet (below left pics) has front support legs that add an element of design and a touch of class to the piano. The available cabinet finishes on the CP2 are what Kawai calls Premium satin black, satin rosewood, or satin mahogany and the specs are 56.1” x 22.8” x 38.1” and 190 lbs in weight. The CP3 piano with a 2-speaker 100-watt sound system which also has a big powerful sound, although not quite as crisp and defined as the CP2 because it does not have the added tweeter speaker system. The CP3 does not have front cabinet legs and is a pedestal model, but still very attractive and the available cabinet finishes are satin rosewood and premium satin black and the specs are 56.1” x 22.8” x 38.1” and 146 lbs in weight. All piano cabinets have a large sliding key cover to fully cover over the control panel and keys to protect them as well as matching benches which have storage space, although I would like to have seen the benches have height adjustment capability or perhaps longer duet size benches so two people could sit down at the same time. The only slight disappointment I have with the CP2 and CP3 cabinets is that they are not offered in polished ebony like the CP1 and other digital piano models in the Kawai line. Polished ebony does raise the price quite a bit, as and much as $600-$700 or more in most cases in this cabinet style, but at least a polished ebony finish would have offered another good finish option. However, it's important to note that polish ebony is applied as a polyester coating (plastic) which is true of all high gloss polished ebony finishes on other brands and that finish can scratch and show dust much more easily than satin finishes. I personally like both the satin black and satin rosewood finish in the CP2 or CP3 models because both colors are timeless and in a low maintenance finish. In the final analysis, the Concert Performer pianos offer a lot of playing pleasure for people of all ages, all musical tastes, and all playing skill levels, no doubt about that. 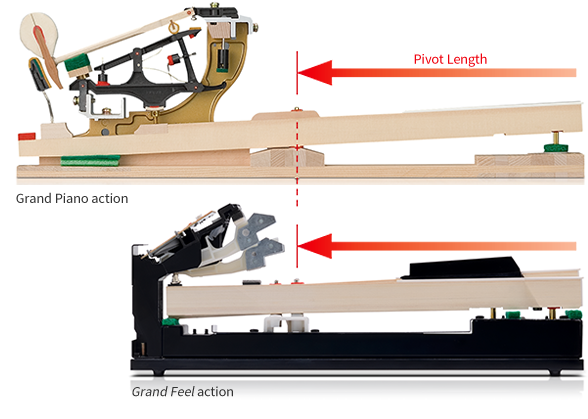 The question is...do you need or want these upgraded technology features on the CP pianos and are you willing to pay the price for it as opposed to a standard digital piano? Are the CP features necessary? Would you be able to use it and figure it all out, take advantage of what the pianos have and make the investment worthwhile? Those questions are important and valid and should be asked. Why spend money and potentially waste it if you don't have to? There are many great digital pianos out there for under $5000 retail/discount selling price that you may be just as happy with, if not more so, but how do you know what is the best piano buying decision for you? The reason I went into SO much detail in this review is because I wanted to point out that the Concert Performer pianos really do offer many excellent ways to achieve musical enjoyment and satisfaction that you just cannot get on standard digital pianos. As far as I am concerned and something I have learned in my own life, you really cannot put a "price" on something that reaches deep down into your soul...your musical soul. Ask yourself this question "do you love music and if so, how much?" If one or more of your answers is that music moves you, it relaxes you, it stimulates you, it makes you feel young, it takes you to a mental and spiritual place that few other things can do, it allows you to connect to world in so many positive ways, it gives you a personal way to express yourself, and you also believe it could do that for others in your family, church, school, studio, etc,...then in my opinion, the investment in the CP pianos is totally worth the price. The more these many music making features in the Concert Performers drive you to want to play music, I believe you and your family will reap great benefits from that. With all my many years teaching piano to thousands of people and playing professionally in many types of venues, I can say with certainty that playing music changes lives for the good and is one of the very best things you can do for yourself as an adult and for your children or other children that you know. Out of all the Kawai pianos as well as other major brands, the CP pianos offer the most ways of making and enjoying music first hand, up close and personal. The Concert Performer pianos are not only great pianos for the traditional and classically minded person, but the CP pianos are also Virtual Orchestras and Rhythmic Bands as I previously mentioned that allow you to make music in ways you could never do on the other traditional pianos. Think about this: when you go to a movie that would probably not like that movie, that movie is likely full of music going on throughout different scenes and it has theme song which is normally an original complex arrangement of instruments and rhythmic percussion, and sometimes there are vocal tracks too. Think of Disney films like Beauty & the Beast, Pirates of the Caribbean, adventure films, movies like Star Wars and Star Trek, Superman, you name it, and most movies have famous themes and lots of music that you can evenhum or sing from memory. That music may be classically oriented, fully orchestral, or may be pop music, jazz (think of the Pink Panther or the Peanuts Charlie Brown theme), country, romantic, etc. There is all kinds of music of in movies but most people could never play it like that athome because they only have a piano. Without that wonderful music in the movies you near as much and would not be as visually and mentally stimulated. Movie music as well as many other music styles through the years can be played and enjoyed on the Concert Performer series in a much more versatile and realistic way than you could ever get out of a traditional digital piano...take my word for it. You combine those awesome CP features with the pure piano playing you get and then you'll have the best of both worlds wrapped up in one piano. Oh, and if you are using some of these impressive Virtual Orchestra or Band features and you don't know how to get back to the piano sound and turn off the other features, well even that dilemma is taken care of with a default Grand Piano button that you just push and hold for 2 seconds and it instantly resets everything on the CP back to sounding only like a grand piano when you play. It couldn't be easier and that feature is what I call the "panic" button. Overall, it still may take you a little while to get used to the control panel buttons and touch screen functions, but they are fairly easy to learn and the balance between the control panel buttons and features in the color touch screen are such that there are not as many buttons on the piano (which is a good thing) as a number of other digital pianos I have seen. In fact the operation of the piano is easier than most because of the easy touch virtual buttons on the large color touch screen and their intuitive nature. However, when you want that concert grand piano sound to come up and all other features and functions to shut off, you just go to that piano "panic" button and all will be good:). Before you make any purchase, especially in this price range, I recommend you do your research and homework so that you can make the right decision. But with regard to these new Kawai Concert Performer pianos, you certainly cannot go wrong with them even if you don't take advantage of all the features. Some people would classify these things as bells & whistles, toys, or even "cheating" but I say that's nonsense! Music comprises a huge world of possibilities and to limit piano playing to just a piano sound or two and to certain types of music or ways to play it, is very short sighted in my opinion. I believe every person should have the opportunity to get a good music education so that they can play music well, learn to play the piano in a traditional way, and understand playing technique and structure as well as sight reading...I fully support and teach that. The pure beauty of listening to great piano solo music is awesome and I am blessed with 2 daughters who are local pianos teachers who play grand pianos in amazing ways and I love to listen to them. In fact one of my daughters owns a large Kawai grand piano and loves it. But to limit piano playing to a narrow musical structure and way of playing it in my opinion removes the enjoyment of the music many people (but not all) could really have if they had the right instrument to do that with. Such is the Kawai Concert Performer piano series and with a factory 5 year parts & labor warranty along with in-home service and an excellent reliability track record based on my personal experience with this brand, these pianos should last for many, many years. My feelings are..."you only live once so go for it, play the music you love, and do it with a great piano!" **In the video below, the Kawai Concert Performer piano is being played by a very young 3-year old piano student named Emmy who is using the Concert Magic feature to interact with the piano to help her learn and understand Rhythm & Timing along with volume dynamics, while letting Emmy play and interact with one of her favorite songs...Twinkle Twinkle Little Star! She loves this thing and it encourages her too. As a piano teacher, I love when that happens:). "Please contact me at tim@azpianowholesale.com for more important piano shopping info before you buy anything from anyone."